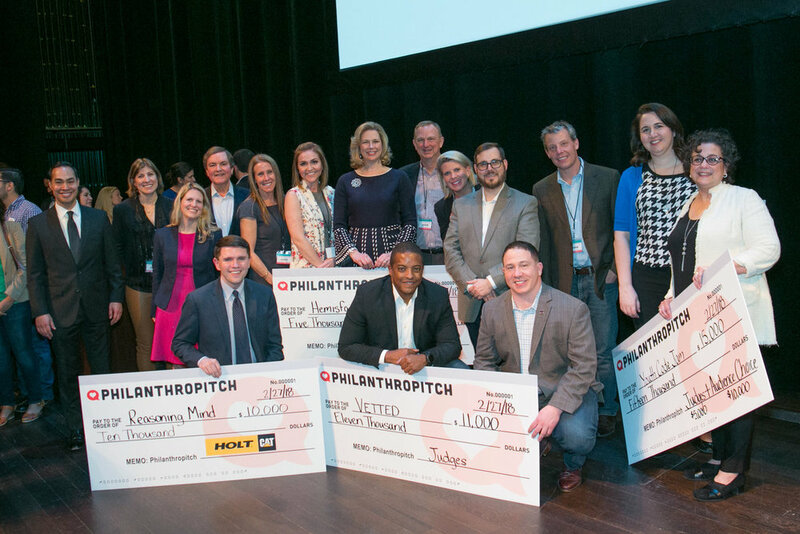 During last night's Philanthropitch San Antonio, everyone watched in awe as six incredible and innovative nonprofits took the stage at the Tobin Center in front of a live audience of San Antonio’s social impact movers and shakers. Dr. Cristal Glangchai, Founding Director of the Blackstone Launchpad at The University of Texas at Austin and author of VentureGirls; Kate Rogers, Executive Vice President of The Holdsworth Center; and Lisa Fullerton, President & CEO of A Novel Idea. Debi Pfitzenmaier from Youth Code Jam, a nonprofit empowering kids of all ages, abilities, and income to learn to code, wowed the audience as the Audience Choice Award winner. 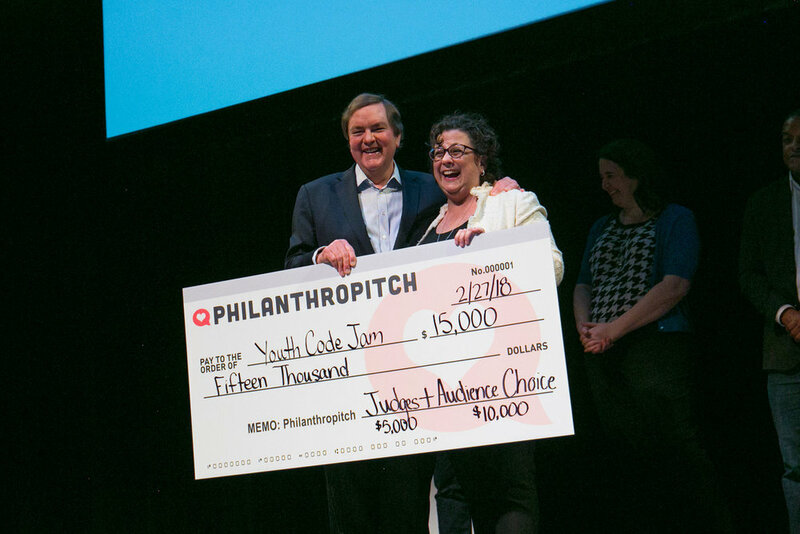 Youth Code Jam’s fast pitch also impressed the Philanthropitch judges and corporate supporters, winning their organization the largest donation amount of the night - a total of $50,000! Philanthropitch San Antonio's other presenting nonprofits also won big as part of the evening's festivities. At the end of the night, over $100,000 was donated to San Antonio nonprofits in the first and only social impact fast pitch event and award showcase. THANK YOU TO OUR CORPORATE SUPPORTERS AND SPONSORS! Thank you to our presenting sponsor The Bank of San Antonio and Chairman, J. Bruce Bugg, Jr., for your support and co-hosting the event with Notley co-founder, Lisa Wilson Graham. Philanthropitch San Antonio would also not have been possible without the support of our corporate supporters and sponsors including Argo Group, USAA, Valero, Hulu, Google Fiber, HOLT CAT, NuStar Energy, DOCUmation, CPS Energy, Jungle Disk, Whataburger, Overland Partners, The Tobin Endowment, NatureSweet, Bank of America, Covenant, The 80/20 Foundation, Rivard Report and the San Antonio Hispanic Chamber of Commerce.